It was all about the signs. Fancy, professional, funny, wise, or drawn with a pencil, they were individual. 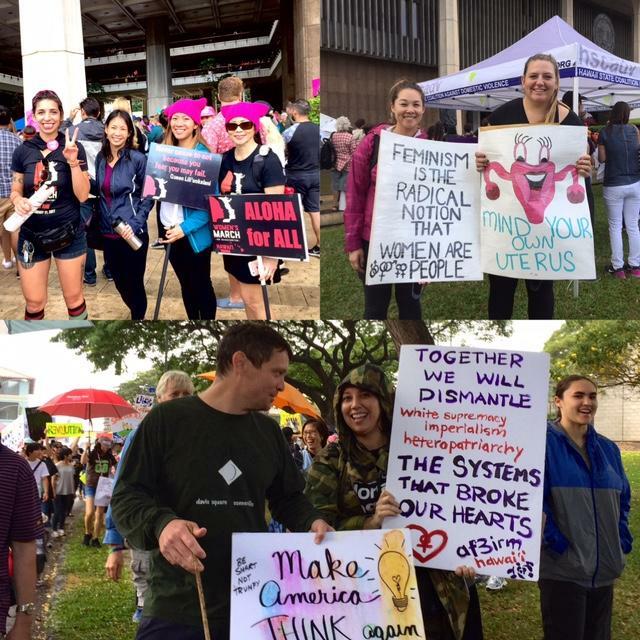 An estimated eight thousand people laughed, cried, sang, and brazenly or shyly had their say at the Women's March in Honolulu January 21st, 2017. The crowd was playful, enthusiastic and diverse. 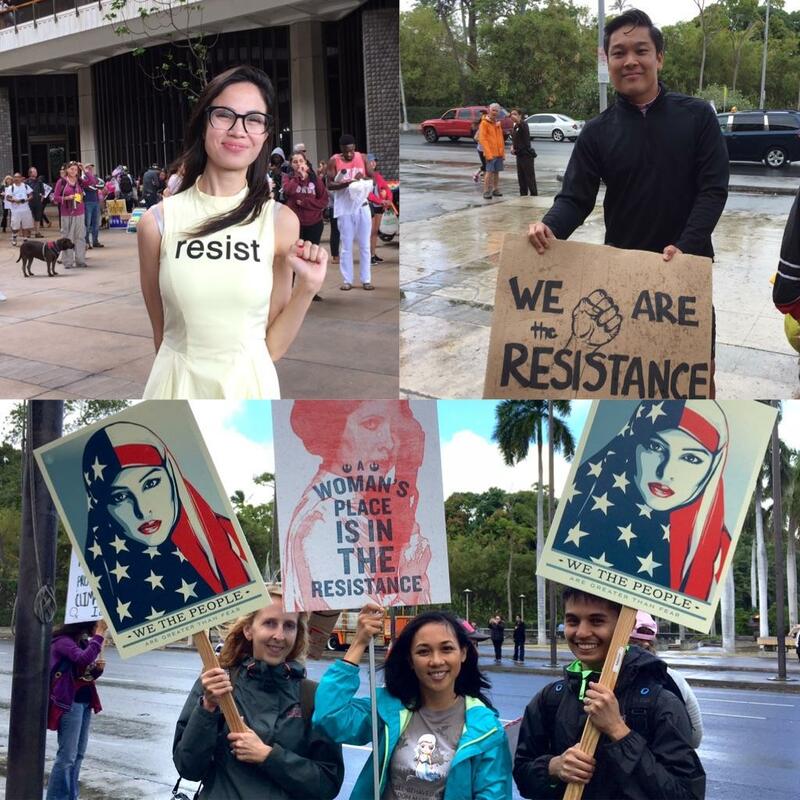 Thoughts and sounds from the Women's March in Honolulu and Washington D.C.
Marna and Craig braved rain and wind Saturday with their stroller. Resistance looks different these days. 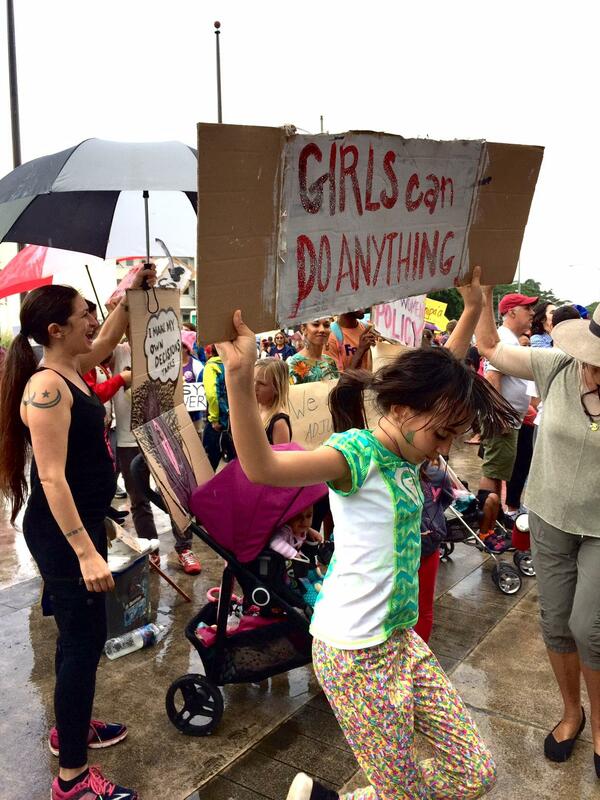 This young woman’s sign says, a woman’s place is in the resistance. 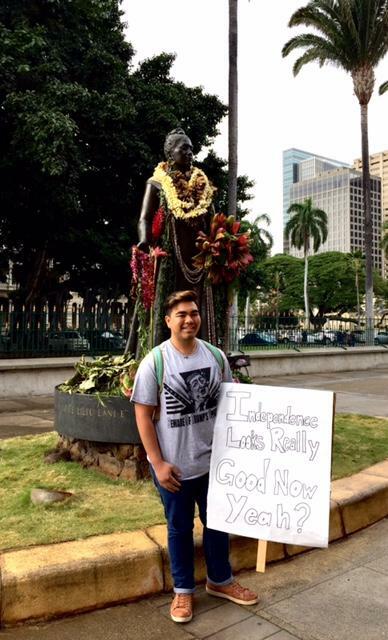 Honolulu authorities report eight thousand marchers on Saturday, many walking ten abreast past the King Kamehameha statue and Iolani Palace. 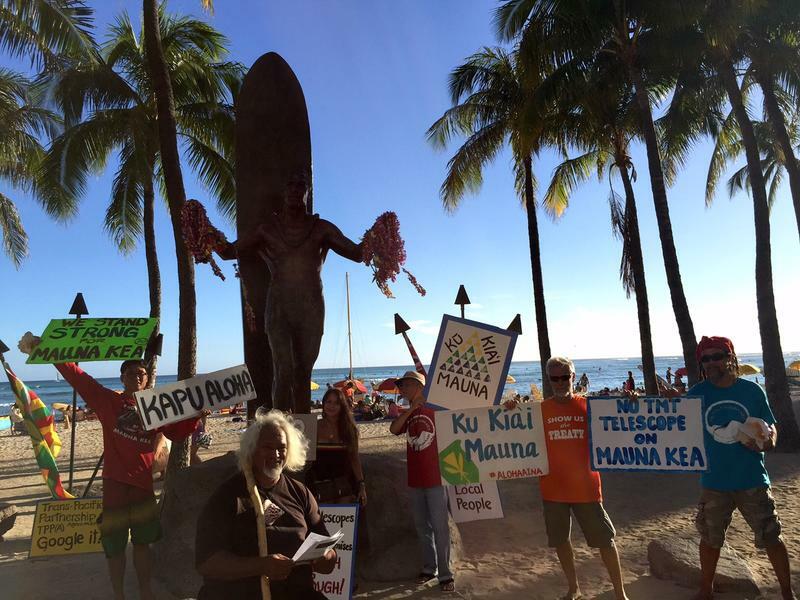 Maui reported five thousand at their march, two thousand were reported on Kaua'i, two thousand more rallied in Hilo, and three to three and a half thousand turned out in Kona. 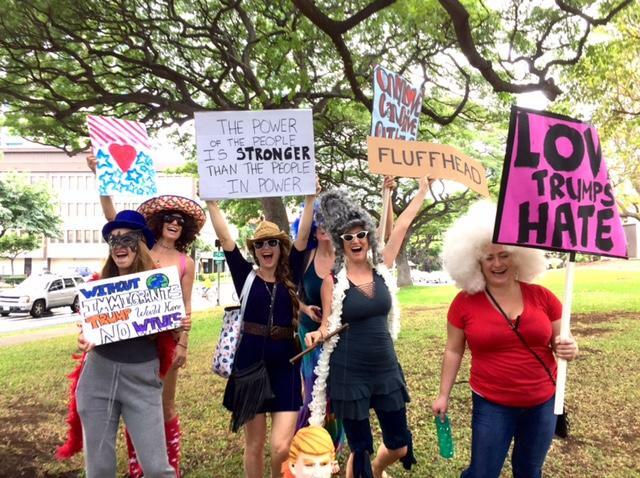 Five thousand was considered a low estimate of the marchers who thronged ten deep past the Hawai'i State Capitol at the 2017 Women's March. flood the mall. Four hundred thousand rallied in New York City, a hundred fifty thousand in Chicago. Kerrie Urosevich, co-Founder of Ceeds of Peace, also at the DC march, says this is just the kick off to serious organizing locally and nationally. 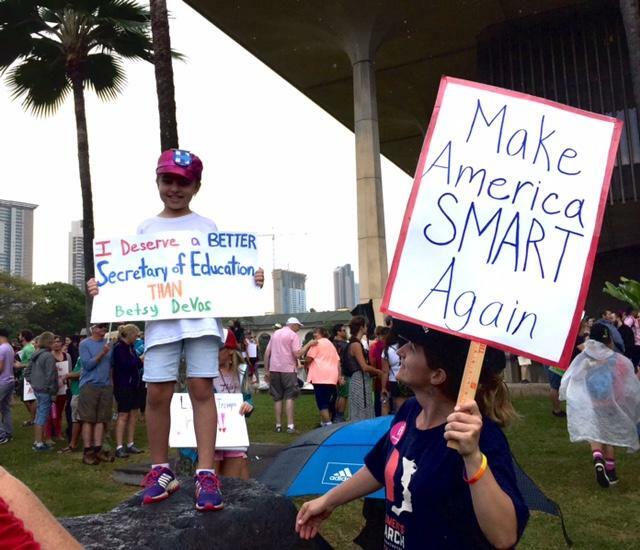 The glory of the March was the plethora of hand made signs with whimsical, ingenious, strong, hopeful, witty and pointed messages. Sherry Campagna, Hawai‘i Statewide lead to the DC March, says some groups there are pretty angry. There was humor: “We Shall Overcomb.” Prompting discussion: “Will we become a nation of overcombers?” And if you were looking for leaders, Gemma Garampil Weinstein, the new president of Local 5 was a stand out. 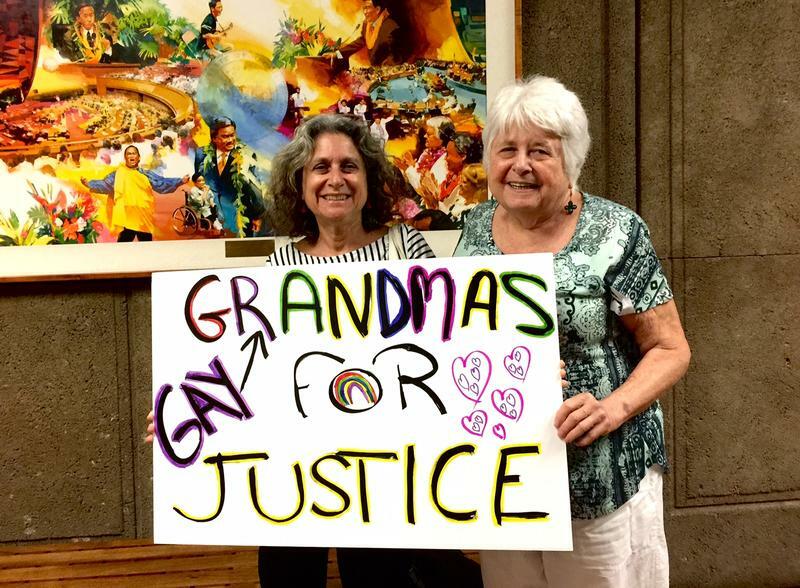 Garampil Weinstein urged support for a slate of progressive candidates in 2018. 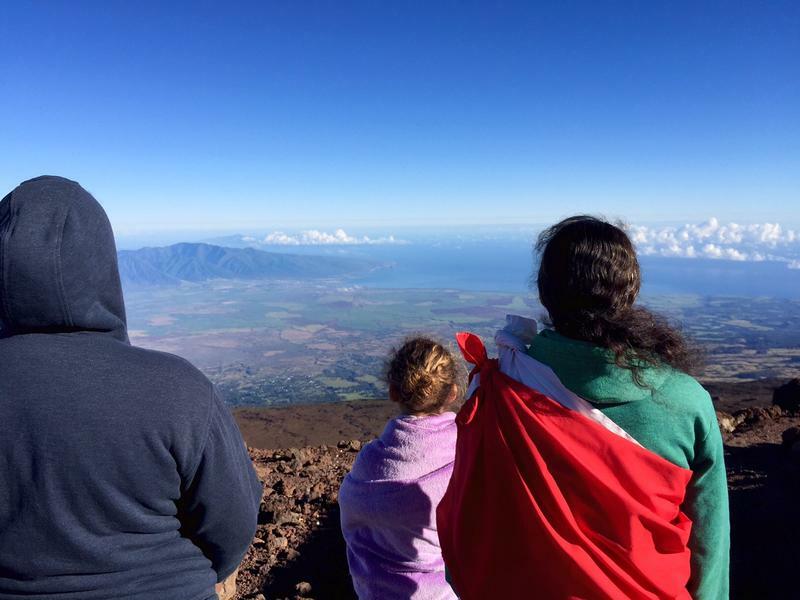 Lisa Grandinetti works with Aikea, an arm of Local 5. I asked her how many of her generational compadres would be turned on by the xenophobia, the racism, sexism, all the isms that bother her. 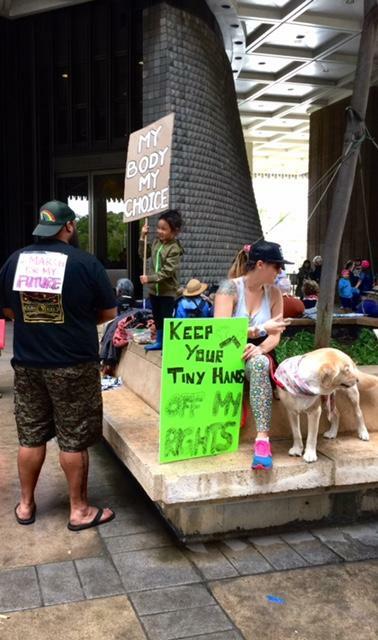 The Hawaii State Capitol proves to be a conducive site for gathering, even in the rain, which pelted down occasionally, leaving participants soggy but spirited. What do you think is the key to organizing?